ThunderSpray mimics a mother’s natural pheromones and provides soothing fragrances of lavender and chamomile. ThunderSpray can be used as an area spray or sprayed directly onto the ThunderShirt to allow the calming pheromones and fragrances to continue to release for an extended period of time. 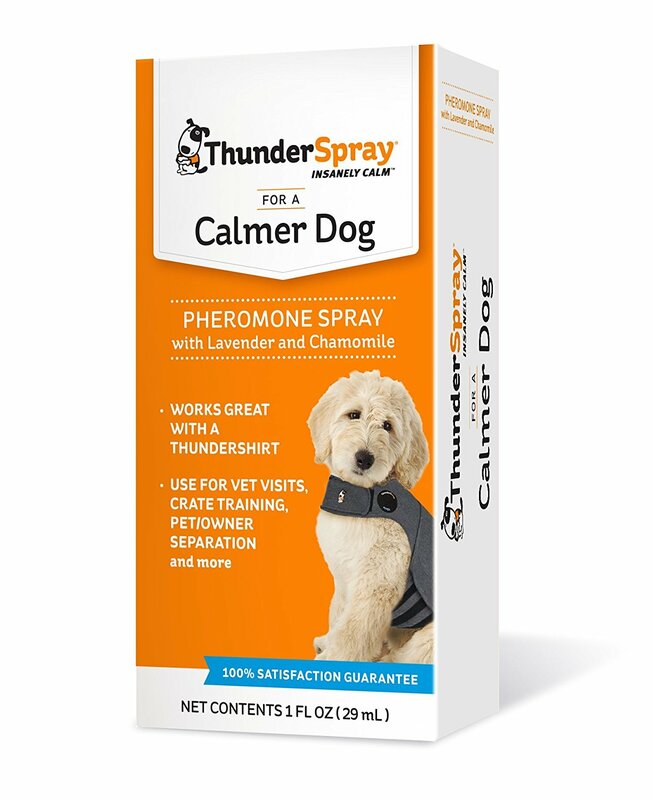 ThunderSpray is great for vet visits, crating, car travel, fear of thunder, pet and owner separation, reactivity to other animals or people, general fearfulness and many other issues.